We are appealing to noble citizens of all ages, faiths and backgrounds across the UK to volunteer their time and effort to knock on the doors of neighbours and friends to offer a helping hand with any immediate needs or shopping. 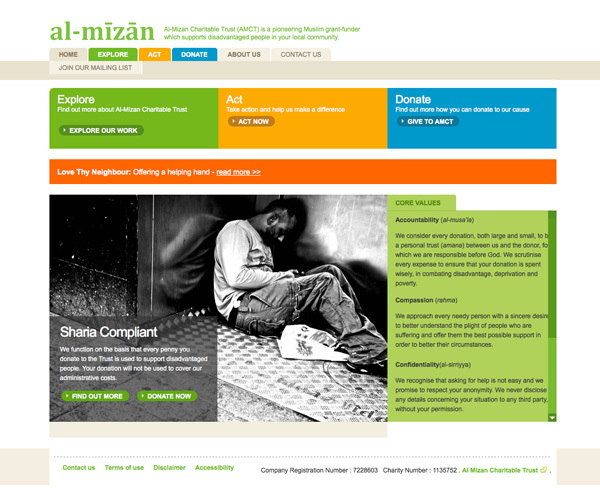 So whether it's bread and eggs for an elderly man living alone or nappies and formula milk for a single mother, Al-Mizan Charitable will reimburse the cost of any supplies you need to purchase up to £10 per household. All you need to do is contact Campaign Coordinator Mohamed Mishal by email at m.mishal@almizantrust.org.uk or 07928593781 and register your interest before you start. Once you've registered with us, you're ready to help your neighbours.To reclaim your funds, complete a monitoring form and a reclaim form. Please keep all receipts and attach them to your reclaim form. We want to hear all your stories, so log on to our facebook group and tell us who you've been helping in your local community.